Francy Magee arrived in February 2016 to serve as the Assistant Provost and Dean of Students. Overseeing the Division of Student Affairs, she works to bring the various units together in a common vision of excellence that promotes student success and engagement at Clark. Francy’s professional career underscores her commitment to creating programs and services, in student affairs and with institutional partners, that engender students’ learning and leadership development in the context of their positive community participation. A practitioner-scholar whose research focuses on faculty and students’ collaboration on research projects, Francy contributes to the field of higher education through leadership roles as well as presentations and papers on student learning, professional leadership development, undergraduate research, faculty careers, and teaching. Prior to coming to Clark, Francy served as the Dean of Campus Life at New York Institute of Technology, where she was instrumental in developing policies and procedures related to campus crisis response, including Title IX, and was part of a leadership team that revitalized and transformed student life. She also served for a year as Acting Director of NYIT’s Division II athletic program. In addition, Francy has held leadership roles at Columbia University and Middlebury College. She earned her B.A. in German and communication studies from Randolph-Macon Woman’s College, an M.Ed. in counseling from the University of Virginia, and her doctorate in organization and leadership from Teachers College, Columbia University. Francy has taught undergraduate classes in student success and psychology, master’s level classes in communication, and is currently on the faculty of the higher education doctoral program at New England College. 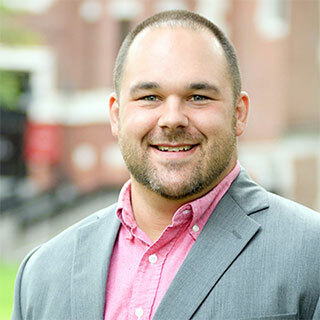 Adam Keyes came to Clark University in August of 2014 and currently serves as Associate Dean of Students and Deputy Title IX Coordinator. Adam’s primary roles on campus are supporting students in crisis or trauma and investigating Title IX cases involving students. Adam also serves as the main analytics professional in Student Affairs, supporting enrollment data and functional budgeting in collaboration with his chairing of the University’s Data & Operational Technology Committee. In addition to his official responsibilities, Adam volunteers as a staff mentor for the Clark Men’s Lacrosse team. Originally from Spencer, Massachusetts, Adam received a B.S. in Business Administration from Fitchburg State University, where he was a four year member of the varsity football team, as well as a Master of Public Administration and a Certificate of Human Resource Management from the University of New Haven. Adam enjoys working out, playing golf, cooking and spending quality time with his family. 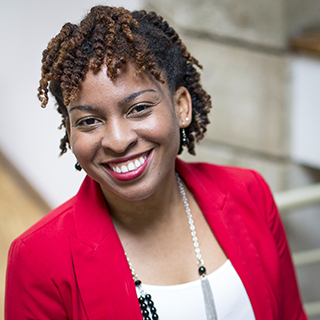 Nadja Johnson joined the Clark community in January 2016 as Assistant Dean of Students. In this role, she has oversight of the office of Multicultural and First Generation Student Support. Additionally, she provides generalist expertise in the Dean of Students office, coordinating resources with departments across the institution, primarily supporting students facing academic, social and personal challenges and working with special student populations. She integrates her background and training in community mental health in her work in student affairs. Prior to joining Clark, Nadja was director of diversity and student success at Valley City State University. She also previously held leadership roles in multicultural programming and international student services and served as an adjunct professor of sociology and psychology at Florida Atlantic University and the University of Central Florida. Nadja received her B.A. in psychology from Fisk University, M.A. in clinical psychology from the University of Central Florida and her Ph.D. in comparative studies from Florida Atlantic University. Her dissertation research focused on identity negotiation of immigrant populations and social activism of diaspora communities. A native of Jamaica, Nadja is a devoted soccer, cricket and track and field fan who enjoys spending extensive time in the sunshine, eating (especially mangoes), dancing and laughing. 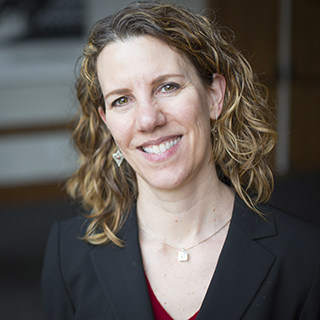 Lynn Levey joined the Clark community in February 2017 as Title IX Coordinator & Assistant Dean for Wellness. In this role, she will be responsible for overseeing and coordinating the University’s policies and practices regarding Title IX requirements, including policy development, compliance, investigations, training, and reporting. As Assistant Dean of Wellness, she will implement educational programs for students on wellness and sexual assault prevention and advise student organizations and student volunteers on topics ranging from alcohol and substance use and abuse, to sexual behaviors and decision making. In these roles, she will work collaboratively with undergraduate and graduate students, faculty, and staff. Lynn graduated from Clark with a B.A. in sociology, received her J.D. from Syracuse University College of Law, and her M.A. in geography from the Maxwell School of Citizenship and Public Affairs at Syracuse University. For the last 10 years, Lynn has taught at Syracuse University College of Law. Before teaching, her work focused on criminal justice reform efforts. As director of the Upstate Office of the Center for Court Innovation in New York State, she developed and supported problem-solving courts dedicated to drug, domestic violence, and mental health issues. 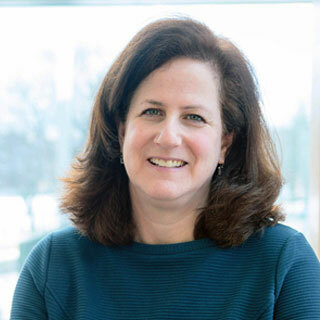 As a research associate at the National Center for State Courts in Williamsburg and Arlington, Virginia, Lynn worked closely with criminal justice practitioners, including lawyers and judges, on a national compliance effort related to the Violence Against Women Act. She has also taught at Georgetown University and the College of William and Mary. 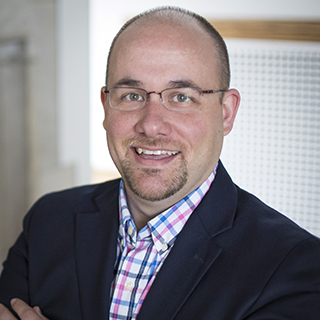 Tim St. John joined the Clark community in December 2013 and currently serves as the Assistant Dean for Campus Life. In his role, Tim oversees both Student Leadership and Programming and Residential Life and Housing. Tim’s primary roles are ensuring a campus life experiences full of engagement opportunities for students, overseeing all new student orientation programs, serving as a chair for the Sexual Offense Hearing Board, and working to support all students in their success at Clark. Tim also advises the Clark Undergraduate Student Council. Professionally, Tim serves as the Communications Coordinator for the Association of College Unions International’s Region VIII Leadership Team. Prior to joining Clark, Tim was Associate Director for Student Involvement & New Student programs at the University of New England in Biddeford, Maine. Tim received his M.S. in Counseling and Applied Educational Psychology from Northeastern University and his B.S. in Sport Management from the University of New England. Tim is originally from Leominster, MA where he lives with his family now. He is an avid Boston sports fan who also enjoys running, reading, and spending time with family.